The shoes of my childhood dreams are finally mine! 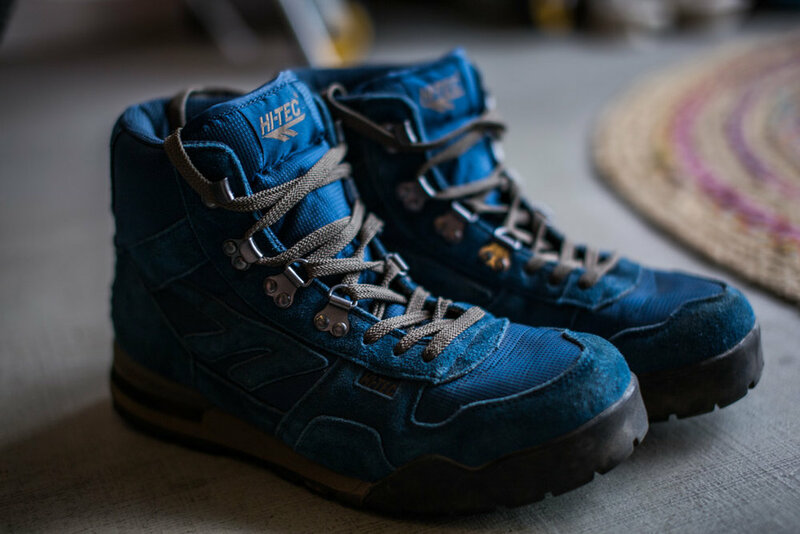 I only had to wait an odd twenty years for them....but thankfully The Hi-Tec classic P.C.T hiking boot is back in all it's glory! It now comes in a retro two-tone majolica & donkey grey and I literally could not wait to test out these bad boys in the mountains. But before we get technical, do you know what P.C.T stands for? Anyone? 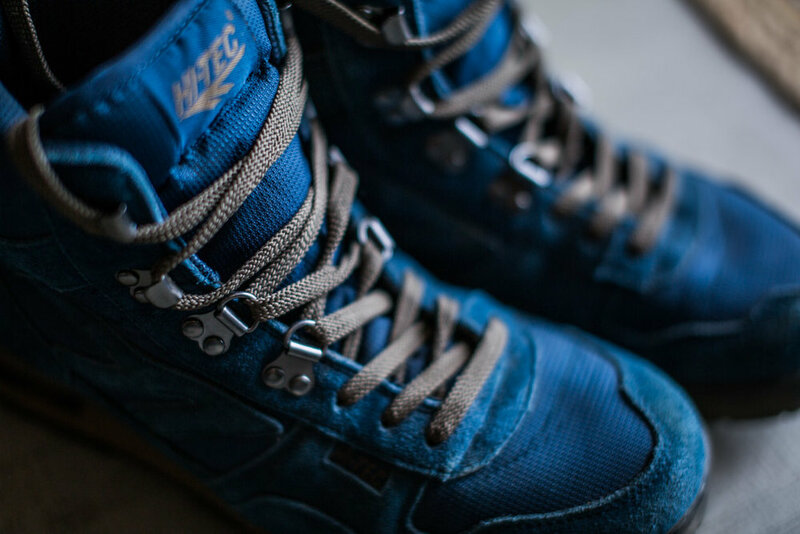 Don't worry, neither do I, so I checked out the founder of Hi-Tec, Frank van Wezel's story which you can read here: Hi-Tec story. 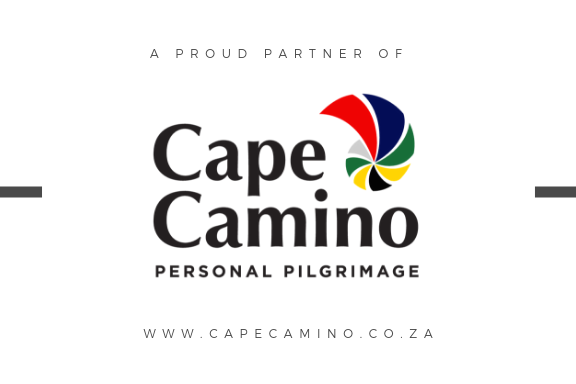 The P.C.T stands for Pacific Crest Trail, which is the name of a classic long distance hiking trail, where hikers can choose between the mere 160km to the slightly further 240km option through the Sierra Nevada and Cascade mountain ranges. The P.C.T is all about superior comfort, durability and breathability which are all the required elements for a long distance and multi-day hike expedition. It's designed with durable suede and mesh layers and a moisture lining to keep the feet dry during wet conditions. The lacing system with iron hooks are easily adjustable during your hiking activities and definitely anchors the ankle in a well supported position. The heel and toe box protection is well designed and there is enough space for minor movement to still have some flexibility on tough terrain. The carbon rubber outsole also provided superior traction between the loose gravel, rocky and sand sections during our test. Bringing back retro style mountaineering is right up my alley but performance and comfort is just as important for a safe and responsible adventure. I will recommend the P.C.T if you are planning a long distance or multi-day hike, but head's up to those of us with big feet...the shoe takes up a lot of space in your luggage, small it ain't! It's a big shoe, big on comfort, big on safety, and definitely big on style! High fives all round for this shoe! Just goes to show, sometimes childhood dreams do come true! Below some photos from our adventures, testing and trying out the P.C.T in multi-terrain areas.